Maximizing Money covers a wide variety of banking bonuses from many national, regional and local banks and credit unions, including cash rewards for opening new checking, savings, and business accounts. 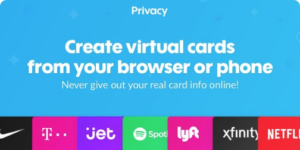 In this section, you'll find articles about Bank Promotions, Credit Union Offers, High-APY Interest Rates, Referral Programs, Banking Services, and more for consumers and businesses. 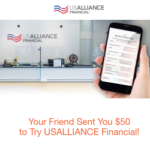 These bank account offers are available to anybody who lives in the U.S.A.
Get $25 with 360 Savings, $25/$100 with 360 Money Market, or $25 with 360 Checking, plus earn $20 for referrals. Earn $200/$400/$600 on consumer banking packages with a qualifying deposit of $5,000/$15,000/$50,000 with new checking and savings accounts. Earn $150/$200 cash bonus on a personal savings account with a $15,000/$25,000 deposit for a minimum of 15 days. Get a $200, $350, or $750 Welcome Deposit for eligible new customers who open an HSBC Choice, Advance, or Premier checking account with qualifying activities. Limited time only. Member FDIC. These bank account promotions are more limited to residents of select U.S. states. 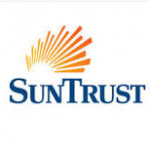 (AZ, CA, CO, CT, FL, GA, ID, IL, IN, KY, LA, MI, NV, NJ, NY, OH, OK, OR, TX, UT, WA, WV, and WI) - Earn $150-$600 with new checking and savings accounts, plus get current $600 combo coupon codes. (AL, AR, GA, KY, MS, NC, TN, and VA) - Earn $50-$200 with new personal checking and money market savings accounts. (IL, IN, KY, MI, OH, PA, WV, and WI) - Earn $200 on personal checking with a $1,000 minimum deposit. 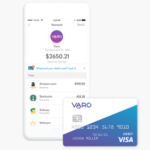 (AK, CO, ID, IN, ME, MI, NY, OH, OR, PA, UT, VT, and WA) - Earn $300 on personal checking accounts with a $500 direct deposit within 60 days of account opening. (AL, DC, DE, FL, GA, IL, IN, KY, MD, MI, MO, NC, NJ, NY, OH, PA, SC, VA, WI and WV) - Get $50/$200/$300 on personal checking accounts with $500/$2,000/$5,000 in total direct deposits and 10 debit card purchases within 60 days. 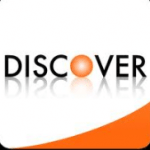 (AL, AR, FL, GA, IL, IN, IA, KY, LA, MS, MO, NC, SC, TN, and TX) - Receive $50 on your personal checking account with 10 debit card purchases and 1 direct deposit of at least $300. (CT, DE, MA, NH, NJ, NY, PA, and RI.) - Earn $50/$225 with Direct Deposits Totaling $250/$1,000 or more within the First 60/90 Days of Account Opening. 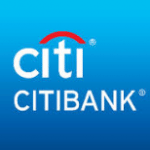 (CT, DC, DE, FL, MA, MD, ME, NC, NH, NJ, NY, PA, RI, SC, VA, and VT) - Get $150/$300 on personal checking accounts with direct deposits totaling $500/$2,500 within 60 days of account opening. 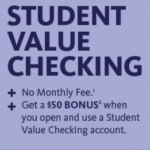 These bank account offers for college students and high school students provide all of the features that students need without the fees. 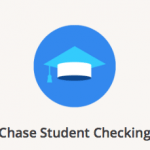 (AZ, CA, CO, CT, FL, GA, ID, IL, IN, KY, LA, MI, NV, NJ, NY, OH, OK, OR, TX, UT, WA, WV, and WI) - Earn $100 Bonus when you open a Student Checking Account, enroll in Paperless Statements, and Complete 10 Qualifying Transactions, plus Waived Monthly Fees for College Students. (CT, DE, MA, NH, NJ, NY, PA, and RI.) 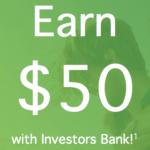 - Earn $50 Cash Bonus with Direct Deposits Totaling at least $250 within the First 60 Days of Opening Your New Account. These banking promotions are for sole proprietors and small business owners who open business checking accounts. 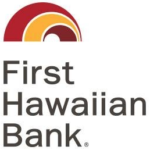 (AZ, CA, CO, CT, FL, GA, ID, IL, IN, KY, LA, MI, NV, NJ, NY, OH, OK, OR, TX, UT, WA, WV, and WI) - Earn $200 when you open a new business checking account, deposit $1,000, and complete 5 qualifying transactions. (AZ, CA, CO, CT, FL, GA, ID, IL, IN, KY, LA, MI, NV, NJ, NY, OH, OK, OR, TX, UT, WA, WV, and WI) - Earn $200 when you open a new business savings account, deposit $15,000, and maintain the $15,000 balance for 90 days. (AL, AR, GA, KY, MS, NC, TN, and VA) - Earn $150-$450 with new business checking and business savings accounts. 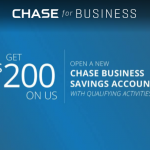 (IL, IN, KY, MI, OH, PA, WV, and WI) - Earn $200-$750 bonus cash when you open a business checking account and meet the requirements. (AL, DC, DE, FL, GA, IL, IN, KY, MD, MI, MO, NC, NJ, NY, OH, PA, SC, VA, WI and WV) - Earn $100/$200 when you open a business checking account with a minimum balance of $1,500/$5,000 for 3 statement cycles AND make 10 debit card transactions and/or mobile check deposits. 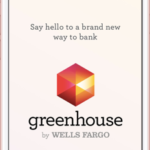 (AL, AR, FL, GA, IL, IN, IA, KY, LA, MS, MO, NC, SC, TN, and TX) - Receive a $150 bonus when you open a business checking account with a $500 initial deposit, 1 debit card purchase, and online banking with online statements. (CT, DE, MA, NH, NJ, NY, PA, and RI.) - Earn $250 when you Deposit an Average Daily Balance of $1,000 or more for the First 90 Days of Account Opening. (AL, AR, DC, GA, FL, MD, MS, NC, SC, TN, VA, and WV.) - Earn $200 in bonus cash with a new business checking account when you deposit $1,500 in 30 days. 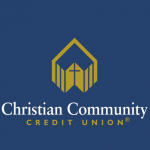 These credit unions offer cash incentives to join with membership open to anybody in the U.S.A. Earn $100 when you open a new personal checking account with a minimum direct deposit allotment of $500. Earn $200 when you open a new personal checking account with a recurring direct deposit. Earn a $50 Bonus when you Open a Checking Account with a $250 Minimum Direct Deposit within 35 Days. Earn $50 Visa Gift Cards for personal checking accounts with a $300 direct deposit OR 5 debit card purchases through their referral program. 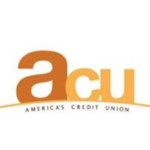 Review more articles below for all of our banking bonuses and credit union promotions. 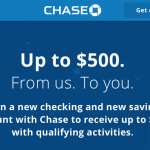 Check out these Chase Bank bonus coupon codes to earn a $150, $200, $350, $500, or even $600 cash reward when you open a new Chase checking account or savings account including business accounts, plus there is a new $600 Chase combo link available that allows you to apply online. 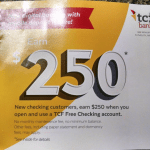 TCF Bank is currently mailing out flyers for a $250 bonus when you open a TCF Free Checking account in-branch and EITHER receive direct deposits totaling $500 or more OR make $250 in online bill payments within 60 days of account opening, valid through May 20, 2019. 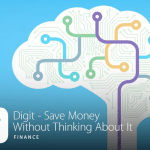 Digit is an online automatic savings tool that analyzes your spending patterns, and then automatically transfers a few dollars from your checking account to your Digit account every few days, based on what you can afford to save.